1980s classics such as The Goonies and the Indiana Jones trilogy created a whole generation longing to find hidden tunnels beneath concealed entrances in the floor. I have often stared at the various grates on the floor of St Michael & All Angels Church in Brighton and wondered what exists below. On my latest visit, Fr Mark Lyon and I lifted one. The remains of the original warm-air heating system were instantly recognisable. Large pipes, over one foot in diameter, once transported air around the building. 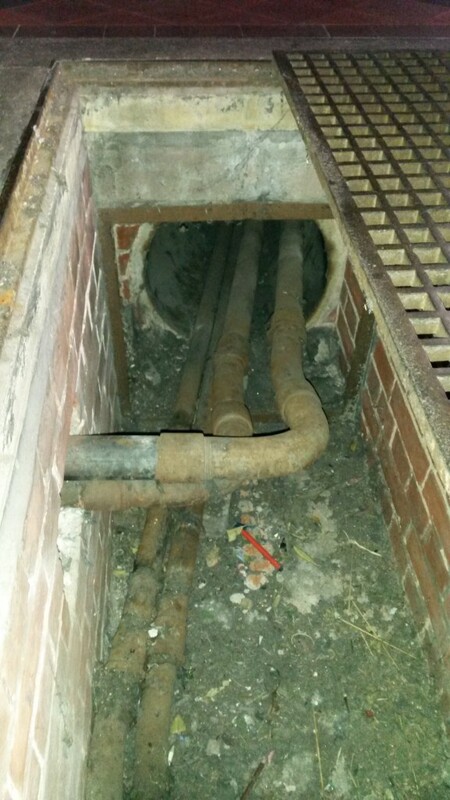 Today, the old network serves as a conduit for the hot water pipes that lead to the large iron radiators that now heat the building. A stone staircase at the rear of the building leads down into the boiler room. Two large square holes, carved into the lintel above its door, were presumably inlets for the original warm-air system. The cavernous room was clearly once home to a large coal stove that heated air for the whole building. Two large gas boilers now heat water for the radiators. An adjoining door provides access to a spiral staircase that leads to a flat roof overlooking Powis Square. The staircase is topped by a circular turret, opposite the heating system’s disguised chimney. 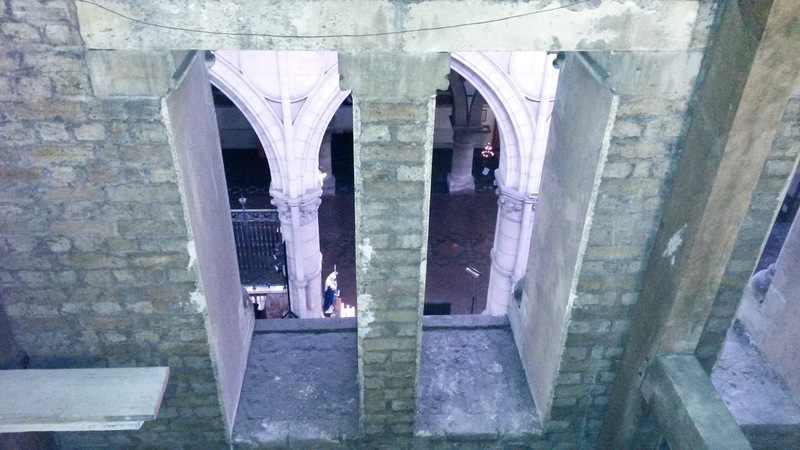 A door on the roof leads into a void above the north aisle with views across the nave. Lights in the north aisle can be lowered by rope from here so that bulbs can be changed at ground level. On the way out, I spotted a ladder beneath one of the grates. Peering through the holes, it was clear that the ladder is about 12ft long and set amongst alien machinery – what I can only assume are the windchests of the original organ. I’d love to explore further. See www.friendsofsaintmichaels.co.uk to join the Friends.